We have great pleasure advising that Practical Completion was achieved today on the stunning Blairdardie Primary School with the successful handover of the facility to our Partner, Glasgow City Council. Delivered on time, within budget and designed and constructed to provide a very high quality learning environment, it is another excellent illustration of the benefits of our collaborative partnership approach. 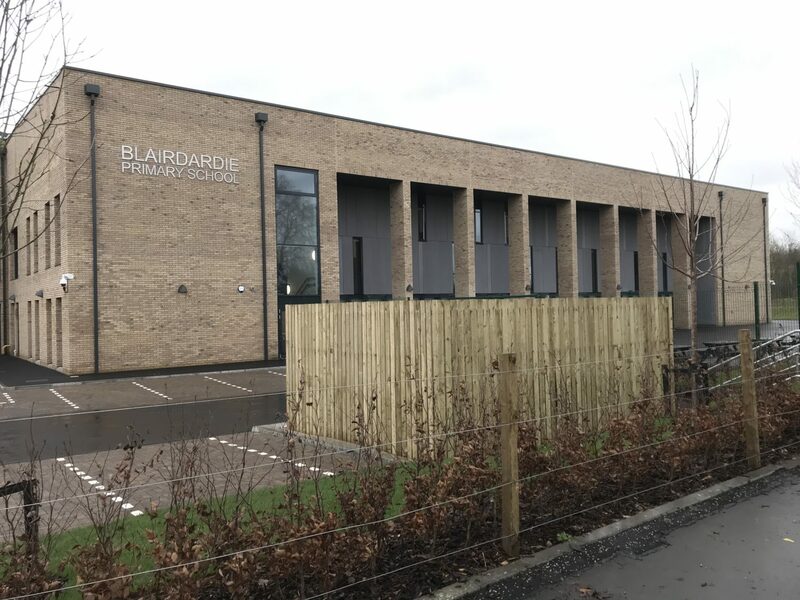 Blairdardie is one of two primary schools recently delivered for our partner Glasgow City Council and we are thrilled to have had the opportunity to deliver such important facilities and demonstrate our passion for delivering to the highest standards of quality and value for money. Our thanks go to the brilliant Glasgow City Council team led by David McEwan, Lisa Le Grove and Cheryl Breen, Main Contractor BAM Construction and Design Team partners: Holmes Miller (Architects), Waterman (C&S), Hawthorne Boyle (M&E), Linda Curr (Landscape Architect) and Brown & Wallace (PD and QS). In addition, we would also thank FM provider Robertson, AA Projects (Independent Tester) and WSP (Funder’s Technical Advisor) for their much valued contributions to the projects.